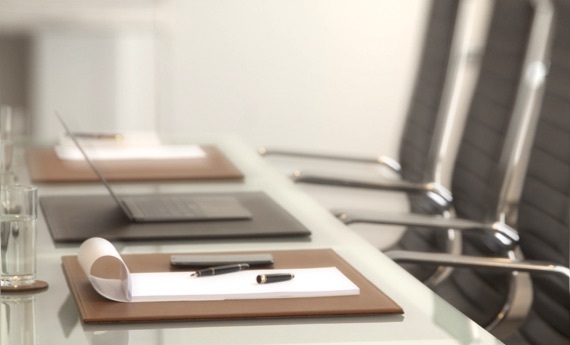 This storage box in square shape , made in genuine leather, will fit right on your office desk or at home while adding a hint of elegance to the room. Its inner structure is made up of wood which is covered with top-notch leather and underneath, a microfiber lining is firmly sewn – to cater for fragile surfaces. 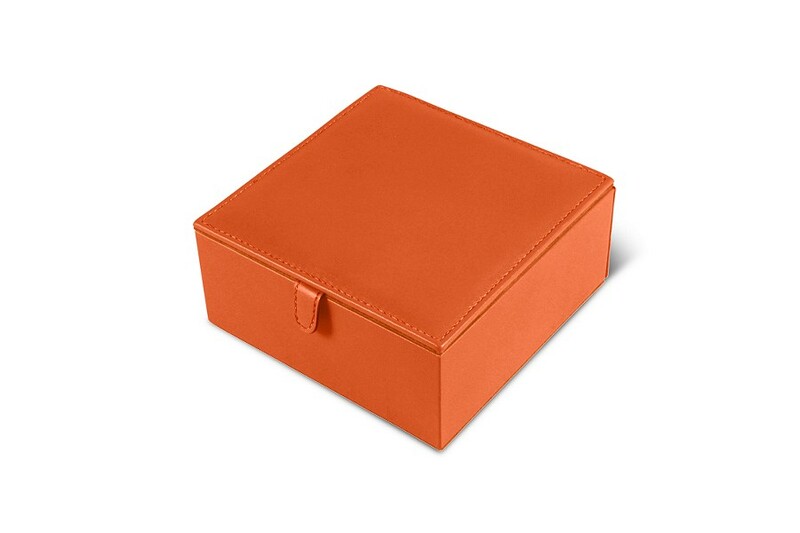 You can thus keep several accessories in this authentic leather storage box, which can also be used as a trendy tidy tray. 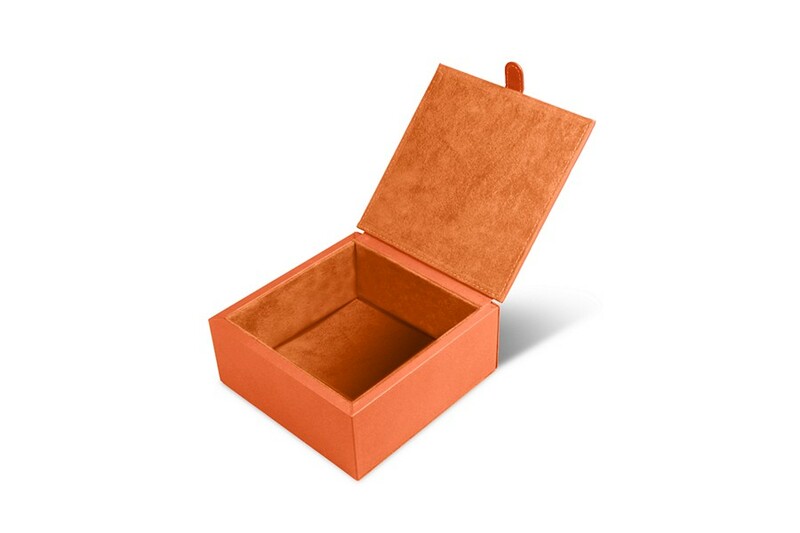 Furthermore, this square-shaped leather box will add a subtly attractive look to your home or office decor. We also allow you to customise this storage box to better match your own taste.